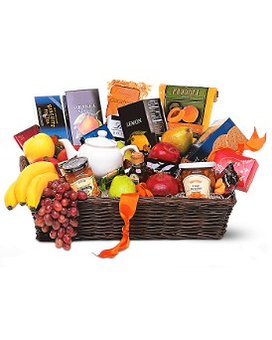 When you want to send thanks in a Grande way, send this basket filled with fresh fruit, biscuits and tea. Nothing's grander. Fresh fruits, biscuits, chocolates and tea, along with a charming teapot, arrive in an impressive wicker tray. 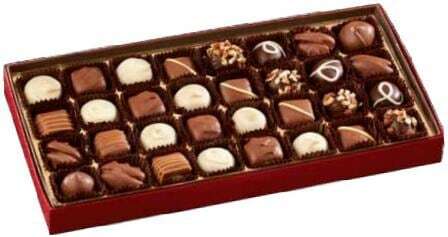 Approximately 16" W x 13" H Please note: All of our bouquets and gift baskets are hand-arranged and delivered locally by professional florists. This item may require additional lead time so same-day delivery is not available.